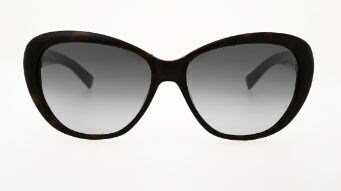 With the heat rising & the sun blazing, I've been seeing a lot of cat eye frames (on the street & in the media) recently. While they're not really my style, I think they do look pretty chic. I am a sunglass nut! The second and third pair are my favorite as my face really can't pull off anything smaller. I love the first ones, but the last 2 I really don't like. I LOVE sunglasses. 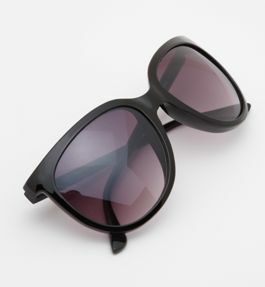 In fact, I love them so much that I can't be outside without them - even if it's just bright out I need them. The last two pairs are just a bit exaggerated for my liking but I can imagine them looking fabulous in a 50s sort of way on the right person. The top pair are lovely - much more classic. I need new sunglasses, but I'm not very good at keeping them! I usually lose them or break them within hours of buying them! 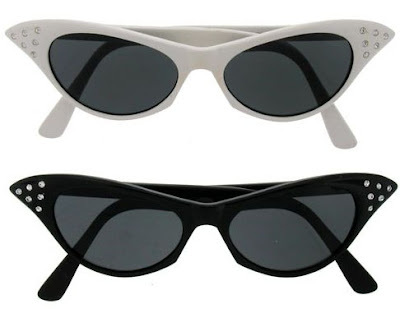 I'm interested in the cat's eye style and I saw someone with a pair of A. Wangs just yesterday and was amazed at how chic but unassuming they were...but I know if they were mine, I would have already sat on them! Especially loving the first pair! All of them are so great... Though, the Norma Kamali is my fav, it's so classic!!! they are all fantastic! Happy Friday! Have a great weekend! I love the Tory Burch and American Eagle ones! So cute. Have a fab weekend, love! The first one is a dream! I'm dying for one of those! Fun glasses! My regular (seeing) glasses are kinda cat-like, but a more muted style. Love this look! I like cat eye glasses, but I'm not sure I good pull them off. If I could, I'd get those Tory Burch ones in a heartbeat. I like the Tory Burch one. I like the second pair a lot. I have a secret obsession with cat eye glasses. I am trying to talk my mum into getting some for her reading glasses... its not flying. Glamorous! Fab! Awesome! Love, love, love!!! I love these. Those two last ones are my favourite. 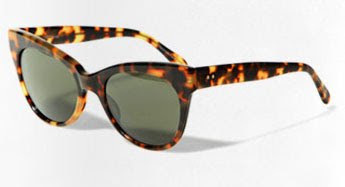 I rather like them, in fact I have a pair of brown sunglasses, similar to the last pairs. They do look pretty awesome I don't know if they would suit me though.